AC Water was born through the passion of a highly qualified team of energetic and experienced Engineers, to create innovative energy and water purification, -saving and -recycling solutions to the pending water crisis currently facing our planet. 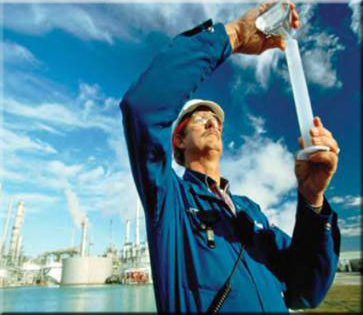 We have a competent team of water treatment engineers that share our passion & vision. Due to the fact that we have close relations with original equipment manufacturers, and therefore not bound to sell a specific product, we are able to offer Customized Application Solutions that best satisfies the clients specific WATER TREATMENT NEEDS. We offer the latest state-of-the-art WATER PURIFYING technologies, systems and solutions for all your WATER PURIFYING needs. AC WATER is designers, suppliers and installers of application specific Water Purifying and Reverse Osmosis (RO) Plants. Our Industry leading Sea Water De-Salination and Waste Water purification plants are leading the way in cost effective water saving-, and recycling solutions. Our various RO plants currently supply from small scale 2Kl/h to 10 000Kl/h. These units are extensively used in the Industrial-, Agricultural-, and Commercial Industries. AC Water has invested in a mobile demonstration plant that has the capacity to purify most contaminated water sources including the desalination of sea water. This demonstration unit has been available since the beginning of May 2011, and has performed demonstrations and proof of concept at Clover SA, ABI, SAB, Vopak, Smith's Manufacturing and Da Gama Textiles. The partnership between AC Water and Nkanyezi Consulting provides the team with key skills to provide a turn-key solution for all liquid processing and purification projects.